Generators are devices designed to provide temporary electric power by converting a mechanical energy produced by petrol or diesel engine into electricity. Generators are an ideal solution for both commercial and personal use. 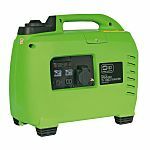 These portable devices are ideal to use with electric-powered tools on construction sites, powering equipment on a boat or charging devices on campsites. 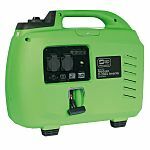 Power outlets in the generator allow for connecting any electrical devices. The only difference between diesel and petrol is a type of fuel used to produce electric energy. Inverters are a special type of generators for using with sensitive digital equipment or battery charging. Inverters technology offers a fuel efficient and stable power source. A combustion engine powered by diesel or petrol fuel integrated with alternator produce electricity by converting mechanical movement of parts into energy that is delivered through power outlets to any electric-powered equipment. Generators can be compact, lightweight devices ideal for household use or commercial, heavy-duty 3-phase generators. Are generators safe for all electrical devices? Yes, generators are safe for all kind of electrical tools or devices. However, for sensitive electrical devices such as laptops, mobile phones, tablets or battery charges, an inverter would be a better option. Inverter produces much more stable energy.